I love a thrifty find. Don’t you? This find actually has three options to it. I came across this Splurge vs. Thrifty while designing a clients E-design. You may have seen this find in a few nurseries appearing on sites like Project Nursery and Apartment Therapy. It’s a tree bookcase. It is a really fun, unexpected look for a room. But these furniture pieces aren’t necessarily on the inexpensive side. The original find is gorgeous. It is made by Nurseryworks and is low in VOC as all their products are. It measures to be 47″ x 6″ x 63″ and is priced at $850. And the last, and most cost effective option is to use a wall decal of a tree. There are so many available on Etsy. 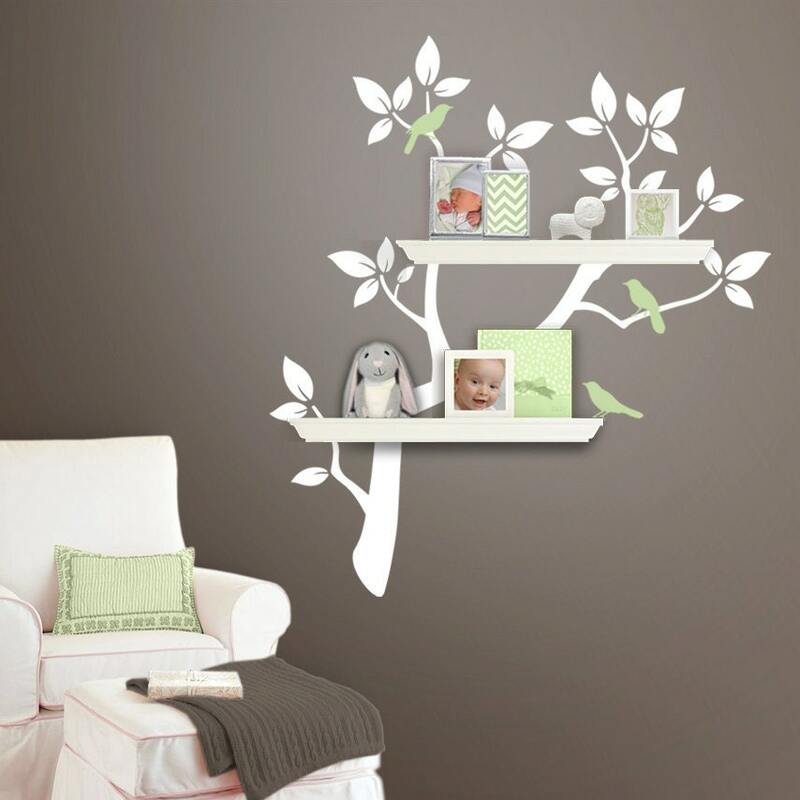 Place the wall decal on the wall and then put up shelves scattered on existing branches to create the illusion of a bookcase. Similar to the image below. This decal is created by Lulukuku. All are a great addition to any nursery or kids room. Splurge vs. thrifty…what is your way? I actually love the decal! And since it's a nursery, you wouldn't have to think twice about switching out in a few years, when your little one is ready for a change. Then again…if I had all the money in the world…I would probably splurge a little!